From the National Road Saluzzo-Cuneo reach the Costigliole town and turn right towards valle Varaita. Then you pass the towns of Piasco, Venasca, Brossasco, Melle and Frassino. From the signpost of Sampeyre town (after approx. 2 km) at the junction, follow on the right the road leading to hamlet Rore where, once you pass the church, you find the hotel restaurant on the side of the road leading to Vallone. The village is highly suitable for failies, also with babies: there isn’t any road vehicle traffic except the local one, there are several playgrounds and a football field, walking paths are easily accessible (some examples are: “Sentiero dei tumpi” with the Sarvanot and a path dedicated to children, called “Viol d’I Minà” in Sampeyre); according to the age and the interests of the visitors you can find near the residential centre, the Chapels of the Trinity and Virgin Mary or, at about 1 hour walking distance, the Chiaronto adventure trail. 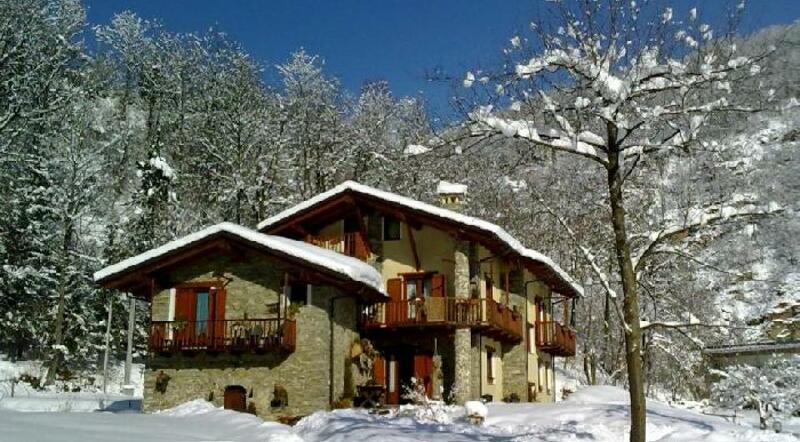 Our village is located on two important long hiking itinerary: Valle Varaita trekking and G.T.A. (Great Alps Crossing). The first is composed by 12 stopovers starting from Verzuolo and arriving in Costigliole, it includes all the towns in the valley and covers a mean ridge path through very different landscapes (every stopover has an accommodation agreed upon with availability of a rucksack pick up service). The second one (G.T.A.) 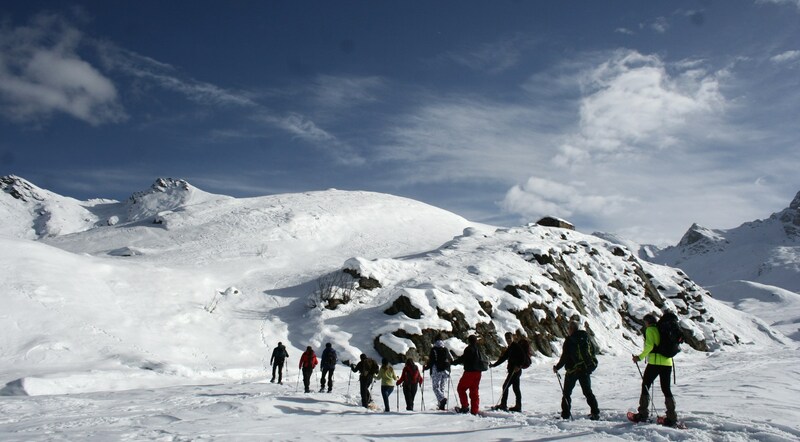 runs at average altitude and starts in Valle Po, crosses the Gilba pass and Malaura pass, drops to Rore and continues in the Vallone di Birrone, which is connected to Valle Maira. 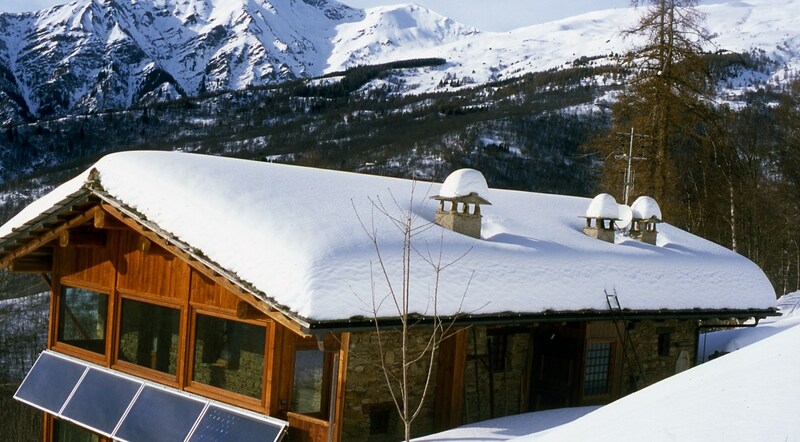 Apart from these two, there are several ring tracks for trekkers with signposted itineraries on both slopes, through the villages Becetto, Frassino and Melle, south bound (adrec) and San Mauro and Forti del Culet, north bound (ubac). Some forestry service tracks and other former military or mule tracks offer favourable conditions for MTB. Several routes of different levels are displayed on the updated map of Sampeyre’s town and surroundings; professional guides service is available for groups or singles, on request. You can rent bikes in Piasco and Sampeyre. Sampeyre’s territory has many celebrated easy routes for this sport, which are feasible with all weather conditions: M. Ricordone ( m 1764 ) from Vallone of Rore, Garitta nuova ( m 2385 ) from Becetto, M. Nebin (m 2510 ) M. Cugulet ( m 2494 ) from Vallone S. Anna. 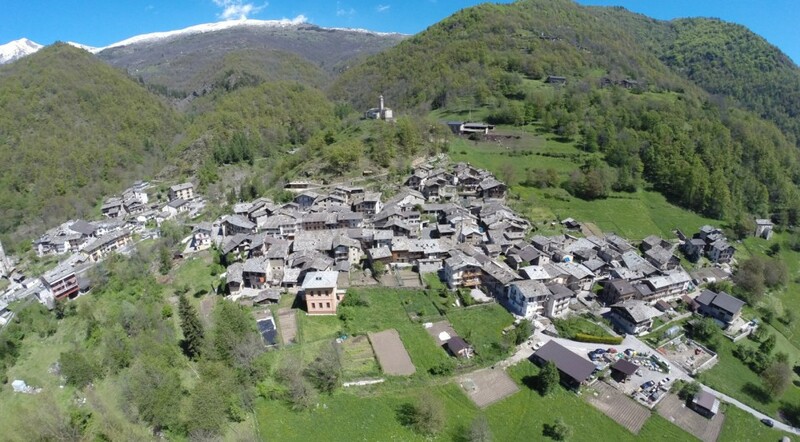 There are a lot of other itineraries starting from the higher part of the valley, namely from town of Bellino and Pontechianale, which are recommended according to their altitude for late spring time. Our family style cuisine focuses on the typical Piedmont dishes: starters, pasta Tajarin with mushrooms, agnolotti, game, wine roasted beef, rabbit; we recommend a reservation for these specialities: mixed fried “alla piemontese”, boiled beef meat and bagna caòda. Other local dishes are: homemade raviole, polenta concia, rice “cumudà” and local cheese. Hotel Restaurant “Degli Amici” is owned by our family since 1895, when our great-grandparents opened the first restaurant called Tavern “Degli Amici”. In 1970 Adreino and Lena decided to offer accommodation for guests, opening an hotel and restaurant by the name “Amici”. Despite many years have passed, a family atmosphere is still there along with traditional home-made cuisine in a typical mountain style. Our village is easy to reach by any transport and it’s the perfect place for your family and leisure holiday; a network of walking itineraries departs from here, you can also use them by MTB, horse riding in summer and with snowshoes when snow peeps out; they will lead you to the discovery of nature, art and historical architecture on the mountains. Every small village in our municipality hosts many events during the year, from traditional dances throughout various genres such as folk singing, literary presentations and art exhibitions: finally every 5 years a special event called “Baio” takes place in the area. 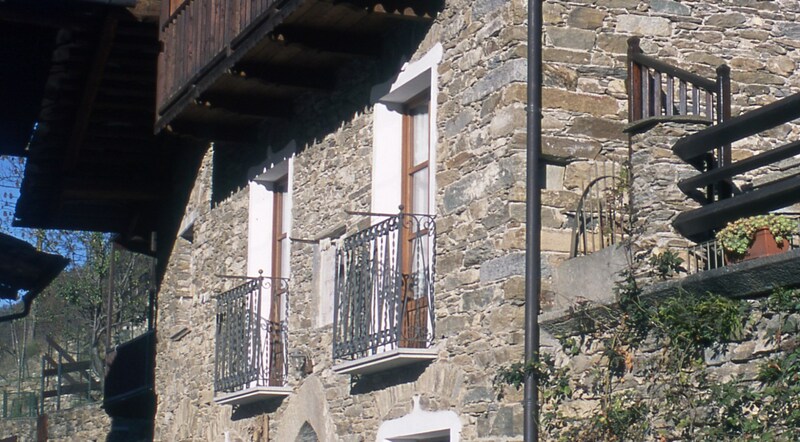 Founded in ancient eras, in Medieval times the village was composed by two nucleus Rure and Burg of which traces remain in some relevant architectural tokens. 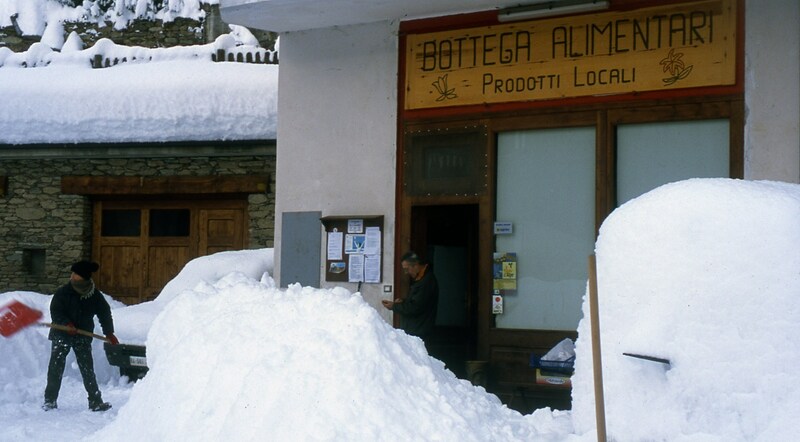 Settled on the top of the alluvial fans of rivers Rure and Ciantorane – which still give water to its fertile agriculture grounds, the village became an important centre for services, at the crossroads of the main ways connecting the neighbouring valleys, namely Valle Maira through Birrone pass, Valle Po through Prete pass and Vallone di Gilba through Malaura pass. It has also always been advantaged for accessibility and public transport by the proximity of the road running through the valley bottom, which had been opened to vehicles between 1870 and 1880. The unifying element between Rore and all the small surrounding villages (about 15 of them had residents at the beginning of 1900) had always been the parish church, built in 1472, which was enlarged in 1800 to accommodate the increasing number of residents, that reached its maximum, a thousand, at the end of the century. Since a long time Rore has become the most populated hamlet in Sampeyre’s municipality. It has a permanent population on 140 residents, with a high percentage of youngsters and pre-school children, it’s one of the rare communities that showed a trend inversion compared to the continuous depopulation of the high and mean mountain areas, which hasn’t been hindered by the alleged “touristic boom” in the 70’s and 80’s. As a matter of fact the present residents number had fallen to half in the 70’s, followed by a growth supported by the arrival of people from the cities, that settled here and undertake new business supporting the creation of new initiatives locally.